Curcumin is one of the bioactive ingredients found in turmeric. Over 4,000 studies assessing the therapeutic effect of curcumin in various health conditions have been recorded in Pubmed, database maintained by US National Library of Medicine. Based on the positive outcomes of these studies researchers as well as nutraceutical giants have prepared curcumin supplements to optimize the intake and absorption of curcumin. 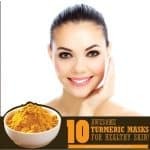 This article goes over the details of various popular formulations of curcumin, most of which have been patented and are available in the market as curcumin supplements. Why is there a need for Turmeric / Curcumin Supplements? Turmeric is a common spice easily available in India and Asian countries. India is the largest producer and consumer of turmeric. Curcumin and curcuminoids account for 2-6% of turmeric. Turmeric as a herb or spice has much more to offer than just curcumin. 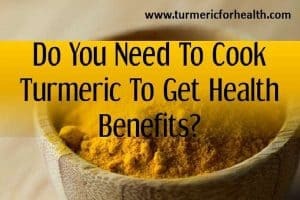 But for certain health conditions, high concentrations of curcumin are required which can’t be provided by the amount of turmeric one consumes on a daily basis. That is one of the prime reasons why curcumin supplements are prepared when you consider it in a health perspective. Also, we cannot discount the fact that it easy much easier to consume curcumin supplements rather than thinking of ways to include turmeric in diet and manage the taste. Therefore various companies provide with a number of curcumin supplements each claiming to be a unique formulation. The reason why there are so many different curcumin supplements is that there is one issue that impedes its effectiveness- curcumin’s bioavailability or absorption in the body. What is the issue with absorption of curcumin? It is poorly absorbed in the gut. It is rapidly eliminated from the system. Curcumin is not soluble in water, but soluble in fats. Most of the curcumin consumed goes unmetabolised and is excreted. The part that is metabolised undergoes transformation into other metabolites. 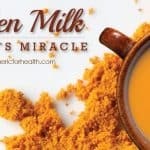 Traditionally this absorption aspect was taken care of when elders advised consuming Turmeric Milk or ‘haldi ka doodh’ [ as called in India] or turmeric powder was cooked in ghee or oil as a part of any curry. This is because fats in both sources would aid in absorption. Some of these are still under research while some are available commercially in the market. The following list comprises of various curcumin formulations and patented versions that are available commercially. Below, we discuss several types of supplements in detail. You can use the Table of Contents below to jump to something if your interest or just continue. Let’s now check best brands using these formulations. Curcumin C3 complex is by Sabsina Corp. and Sami Chemicals and Extract. As the name suggests it is the mixture of three curcuminoids. This patented formulation contains the combination of curcuminoids in the following range 75-81% curcumin, 15-19% demethoxycurcumin, and 2.2-6.5% bisdemethoxycurcumin. They claim that this composition is a ‘bioprotectant’. This is with reference to their antioxidant property: they can prevent conditions that cause oxidative stress and also resolve oxidative stress. This combination of prevention and intervention makes this combination of curcuminoids a bioprotectant. How bioavailable is Curcumin C3 Complex? There isn’t much data available on the bioavailability of C3 complex but again since it is only a curcuminoid mixture the absorption will be limited. A study published in Biomed Research International, 2014 reported that plasma curcumin levels were not detected even after administering 12g of oral curcumin (C3 complex). What is the dosage of Curcumin C3 Complex? What is Curcumin C3 Complex good for? Curcumin C3 complex has been successfully used in human studies with regards to following health conditions Cancer, Psoriasis, Alzheimer’s. Piperine is the active constituent of black pepper that offers it the pungent spicy taste. Piperine interacts with drug metabolising enzymes and increases the absorption of various drugs. A study shows that piperine can increase the bioavailability of curcumin by 2000%. Bioperine is a patented version of piperine. Bioperine or piperine, when taken with curcumin, prevents it from being metabolised and increases its absorption in the body. Standardized 95% curcumin combined with bioperine or piperine are the simplest bioavailable formulations of curcumin available in the market. And they have been used in research studies and delivered beneficial results. How bioavailable is Curcumin and Piperine/Bioperine? What is the dosage of Curcumin and Piperine/Bioperine? What is Curcumin and Piperine/Bioperine combination good for? Curcumin-Piperine/Bioperine combination has been successfully used in human studies for following health conditions: Metabolic syndrome, Major depressive disorder, COPD, Osteoarthritis. Meriva is a phytosomal formulation of curcumin. It is a 1: 2 proportion of curcuminoids and lecithin. It is prepared by Indena S.p.A, Italy based company that identifies phytochemicals for utilisation in health and wellness products. Phosphatidylcholine is the most important constituent of lecithin used in Meriva or lecthinized formulation of curcumin. It is amphiphatic in nature- it has groups that attract water molecules and groups that attract lipid molecule thus permitting the formulation to be miscible in both environments. Curcumin is dispersed into this lecithin complex and this lecithin envelopes the curcuminoid in a way that absorption related properties are altered and it is easily passed into the cell membranes for absorption. This entire complex of lecithin with any bioactive molecules is known as phytosome. 500mg Meriva contains 100mg curcuminoids, 200mg soy lecithin, and 200mg microcrystalline cellulose. Meriva was 29 times more bioavailable than standard curcumin (C95). Meriva was absorbed 2x faster than standard curcumin. Curcumin from Meriva was 18 times more bioavailable than that from standard curcumin. The concentration of other curcuminoids in plasma was 50-60 times more than that of standard curcumin. Low dose Meriva (209mg), High dose Meriva (376 mg) and 1799mg of standard curcuminoids was used. What is the dosage of Meriva? What is Meriva good for? Meriva has successfully been used in human studies for following health conditions: Pain relief, Osteoarthritis, Cancer treatment side effects, Diabetic complications, Osteoarthritis, Sarcopenia, Delayed Onset Muscle Soreness, Psoriasis vulgaris, Chronic anterior uveitis. Longvida is a patented formulation of curcumin prepared by Verdure Sciences, USA and researchers at UCLA. If you visit the official site page of Longvida, you will get the details of how Longvida was prepared. So various compounds were screened to identify a natural agent for healthy brain ageing and curcumin was selected. But curcumin had issues with bioavailability and as mentioned previously 3 parameters needed to be dealt with solubility, permeability, and stability. After investigating various techniques, the researchers developed what is called Solid Lipid Curcumin Particle Technology (SLCP TM Technology). In this formulation, curcumin is packed into a matrix that is lipophilic-it attracts fat molecules. This system carries curcumin and protects it from the pH in the gastric environment, dissolves it in GI tract and delivers a free form of curcumin to the bloodstream. Longvida preparation is free from harsh solvents and volatile oil. 400mg Longivida contains 80mg curcumin along with vegetable-derived stearic acid dextrin, hydroxypropylmethylcellulose (vegetarian capsule), soy lecithin, ascorbyl palmitate, and silicon dioxide. A study investigating the safety and efficacy of Longvida in osteosarcoma patients and as well as healthy individuals demonstrated that curcumin from Longvida was 65 times more bioavailable than an equal quantity of unformulated 95% curcuminoids. What is the dosage of Longvida? What is Longvida good for? Longvida has been successfully used in human studies for following health conditions: Osteosarcoma, Aging brain, Heart health and endothelial function, Delayed Onset Muscle Soreness, Oral submucous fibrosis. Theracurmin is a novel bioavailable formulation of curcumin prepared by Theravalues Corporation, Japan. It is a nanoparticle colloidal dispersion- Extremely tiny particles close to the nanoscale are made and combined with gum to form a microscopic dispersible agent. 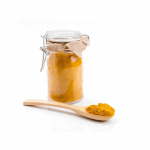 Primarily curcumin powder is extracted from turmeric and is mixed with gum ghatti solution and water and glycerine are added. Ghatti trees are found in Asian countries like India, Nepal, Myanmar, etc. and their exudate contains polysaccharides that are dissolved in water to form gum ghatti solution. The mixture is then ground using a wet mill and other apparatus are used to prepare extremely small particles. A study conducted to assess Theracurmin’s bioavailability demonstrated that its bioavailability is 27 times higher than standard curcumin. 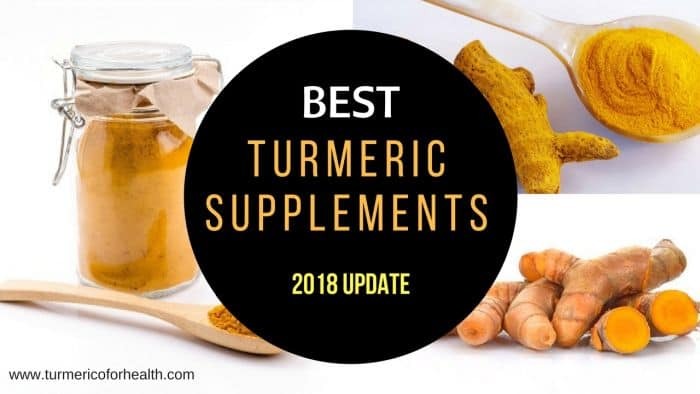 Another study comparing Theracurmin’s bioavailability to other commercial preparations demonstrated that Theracurmin’s plasma curcumin concentration was 10.7 to 5.6 times higher than BCM-95 and Meriva respectively. Researchers do mention that no attempt was made to unify the dosages as there were chances of degradation of curcumin when standardizing the dosages. Therefore they used dosages that are recommended amounts for commercial use and are also used in studies. What is the dosage of Theracurmin? What is Theracurmin good for? Theracurmin has been successfully used in human studies for following health conditions: Cancer, Osteoarthritis, Atherosclerosis, COPD, Delayed onset muscle soreness or exercise-induced muscle damage, Heart failure, Alcohol metabolism, Heart health after menopause, Skin anti-aging. Other research done on Theracurmin’s health benefits can be found on Theravalues website. BCM-95 or Bio-Curcumin is a patented formulation developed by Arjuna Natural Extracts and Dolcas Biotech. This formulation combines curcumin with one of the important active ingredients of turmeric oil, ar-turmerone. Naturally turmeric oil present in the spice assists the absorption and bioavailability of curcuminoids in the turmeric root. Therefore based on this principle, Arjuna Natural combined standardized 95% curcuminoids with ar-turmerone to give a highly bioavailable formulation of curcumin. This patented composition of curcumin essential oil combination contains 86% curcuminoids and 7-9% essential oils. Curcumin from BCM-95 was 6.3 times more bioavailable than curcumin-lecthin-piperine formulation. Not much details are available as to how much curcumin is available in 500mg BCM-95 but claims are close to 450mg of free curcumin in every 500mg supplement. However, this needs verification. What is the dosage of BCM-95? What is BCM-95 good for? This is the most common term printed in the ingredient list of curcumin supplements. Standardized 95% curcumin or C95 is the widely used curcumin composition in research studies. Standardized 95% curcumin or C95 contains approximately 72.2% curcumin, 18.8% demethoxycurcumin, 4.5% bisdemethoxycurcumin. Now, why not 100% or 95 % curcumin? Curcuminoids are present as a mixture of these 3 components even in the spice turmeric. Extracting a higher percentage of curcumin would only add to extraction expenses and not make a difference to the therapeutic effect of curcumin. Standardized 95% curcumin or curcuminoids is the standard composition of curcumin free from any additives. It is commonly used in research studies and by itself is poorly absorbed in the body. The subsequent formulations developed indicate increased absorption in comparison to the absorption of C95. Avoid curcumin supplements that do not indicate the presence of standardized 95% curcumin/curcuminoids or the subsequent formulations. How bioavailable is standardized 95% curcumin? What is the dosage of standardized 95% curcumin? What is standardized 95% curcumin good for? Here is a list of other formulations that are have not been relatively explored by consumers and clinical trials on the same is limited. It is a combination of curcuminoids with its metabolite tetrahydrocurcumin. It is a colorless formulation unlike the vibrant orange-yellow of turmeric. Sabsina Corp states that 400mg of Curcumin C3 Reduct is equivalent to 1500mg of Curcumin C3 complex. Cyclodextrin is compounds containing sugar molecules in a cyclic structure and is used in drug delivery. Curcumin cyclodextrin complexes are being investigated in terms of therapeutic efficacy. CAVACURMIN by Wacker Chemie AG is one of the commercially available curcumin formulations that use curcumin cyclodextrin complex. It is said to be 40 times more bioavailable than standard curcumin. However, we have not come across any clinical evidence has tested its efficacy in any health condition. This involves dispersing curcuminoids in water-soluble carriers like polyvinyl pyrrolidone and cellulose derivatives and little fat, thus making the mixture water soluble. OmniActive Health Technologies has launched CurcuWin, a formulation that works on this principle and is said to be 46 times more bioavailable than standard curcumin. However, not much data is known on its clinical relevance. This formulation of curcumin is prepared by Maypro Industries, USA. It is a sustained release system of micronized curcumin where the size of curcumin particles is significantly reduced (10 microns). This is then introduced into a polymer system which allows curcumin to be released for a long time in the system. It is said to be 10 times more bioavailable than standard curcumin. Curcumin supplements are relatively safe but there has been no long-term study to confirm the safety of its chronic dosage for long periods. However, the study has found dosage as high as 12g to be safe in humans. Always start with small doses of curcumin to avoid gastric discomfort. Starting with high doses may cause symptoms such as bloating, constipation, diarrhea etc. Increasing dosage gradually helps in attenuating such symptoms. Rule out any chances of allergen which could be evidenced by skin rashes or major gastric symptoms. In that case, immediately discontinue use of curcumin. Curcumin supplements should be avoided during pregnancy and lactation. Curcumin interferes with drug metabolism. Hence it is advised to not to take curcumin supplements concomitantly with any medication. A 3-4 hour gap should be maintained. Researchers are investigating various ways to increase the absorption of curcumin. However one should understand that these increments bioavailability, in some cases, are not made for a unified dose or are not taking the weight into account. Also even though supplements offer an increased bioavailability, the amount of curcumin in the supplement is less than a capsule containing standardized 95% curcumin. One of the safe and effective formulations of curcumin is standardized 95% curcumin with piperine; this combination has proven to be helpful in many health conditions. Also, it is relatively inexpensive. 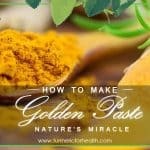 The Golden Paste offers you whole turmeric with black pepper and healthy fats that take care of the absorption while providing health benefits. You can also make Golden Paste from fresh roots. Also including turmeric in diet can hold multiple health benefits. I am in Italy. Why cannot I buy the best curcumin supplement ? Why is it sold in US only? Can you tell me if you know anything about a brand called Smarternutrition 95% Tetra-Hydro Curcuminoids please ? 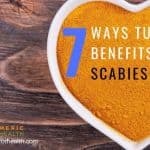 Hai,I could not see the mention of Turmeric/curcumin supplement for Psoriatic Artritis in your blogs. I am patient of Psoriatic Artritis with scalp psoriasis and SI , finger, knee and ankle joints pain with severe inflammation of connected muscles. Besides these I also suffer with Anxiety/depression. Could you please suggest me which forms of curcumin will be suitable to heal joint pain/inflammation and psoriasis. Should I use different forms of curcumin ? When I used aSquared Nutrition turmeric curcumin with bioperine I got s kidney stone. Thanks in advance for your reply. Hi, i have been bleeding after having my third miscarriage and after a scan it wad revealed I have fibriod out my womb and a very small one inside my uterus measuring about 1.5gm and is the one causing my continues bleeding. Please, is there any drug to shrink the fibriod and stop the bleeding? my doctor said he will place me on a drug for three month that will shrink the fibriod and stop the bleeding since surgery is not possible because of the size of the fibriod. Please I need your advice here,my doctor said the drug is from India so I don’t know if it is the curcumin supplement. I really need help. We are a new Turmeric brand called Honest Roots and admire what you do! 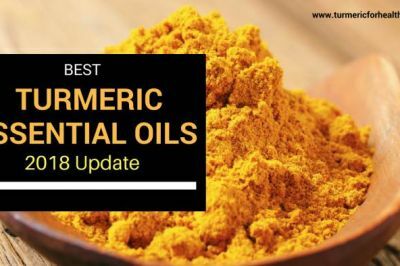 We feel it is the best informative blog on the internet on the topic of Turmeric and keep sending our customers over to read your blog. Keep up the good work please! Please what can you tell me about Novasol from Solgar. Hi, what concerns me is that it is not visible what the level of heavy metals is in turmeric products. Even if it is organic it can contain heavy metals from the soil. What is your view on this? Hello I take Amilodipine in the AM & Metoprolol at night. 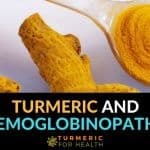 Have u ever had complaints where Tumeric increased blood pressure ? Does it ever decrease the effects of your b/p medication ? I have been taking tumeric extract with combination of Bromelain & BioPerine for pain. Hi. Research indicates that turmeric helps lower blood pressure rather than increase it. But if you are facing this issue, please discontinue the use of the supplement. I have seen a supplement that seems to tick all the boxes and in addition has enteric coated capsules. They they are claim are less likely to irritate the stomach and will be better absorbed. Do you agree ? Is it better to buy these? Hi. Could you mention the supplement name? Turmeric usually does not irritate the stomach and when taken with food it should not cause any acid reflux like symptoms. Instead it helps improve digestion. However if you are prone to acid reflux issues then only would it be necessary to consider enteric coated capsules. What dosage and what formulation should be used to have enough curcumin absorbed to have a preventative anti-Pemfigus effect without potentially causing another kidney stone? Hi. 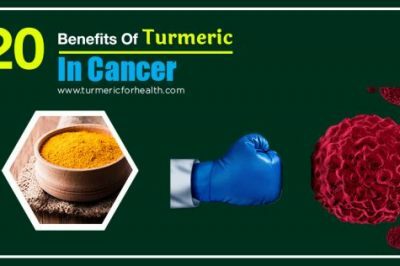 If it is a standardised 95% curcumin extract with bioperine and no whole turmeric root powder in it, then it has negligible oxalate content and should not cause kidney stones. You could check for a curcumin C3 complex with bioperine. While there is no exact dosage prescribed for the condition, a dose range of 1000-1500mg can help. 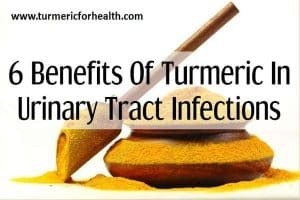 If you are already taking a similar supplement, then it is best to rule out other reasons for the kidney stone or discontinue the use of turmeric. Why not purchase Curcumin powder (bulk) 95% pure and take 1000mg and a 10mg Piperine tablet with it? Guaranteed ingredients not like your recommended JUNK Schwartz and DR Danielle that charge big $ and only include 150-150mg. I do REALLY appreciate your interest/approach though. You fill a void. THANKS!! Your Wal-mart may have Swanson Theracumin (if your health goals are more for your body) or NOW CurcuBrain mentioned on this page which has the Longvida form of curcumin if your health goals are more brain/mental health related. I saw them on the Wal-mart website, can’t say whether every store would carry those but those two are bigger brands at least. I CANNOT order online..please, could be advise me of one I can purchase in Wal-Mart, CVS ? Hi Joyce. We have not explored turmeric brands available offline. 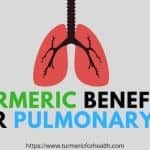 However we would suggest you to look for these words when purchasing Turmeric/Curcumin with Bioperine supplements ‘standardized 95% curcumin with bioperine’. Hope this helps. ADVANCED TURMERIC CURCUMIN	X285 before I found your website and now I am not sure it is the best one for me. Also, I now know that it has toxins that I do not want to absorb. Thank you for your help. I have a tumour in benign pituitary gland (macroadenoma) . What would you recommend I take to reduce the macrodenoma. Hi. 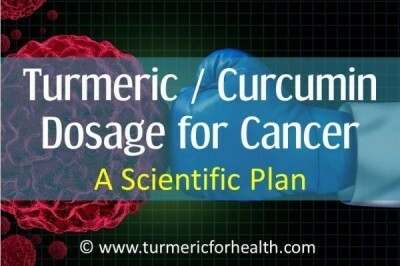 Please refer to our guide on Turmeric Dosage For Cancer and Tumors. Please consult your health practitioner before taking turmeric supplements. I have lower back pain caused by an injury 9 years ago. 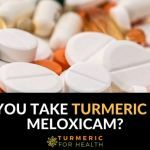 I also suffer from sciatica caused by the injury what is the best curcumin/turmeric supplement to take for pain relief of both the lower back pain and sciatica? Hi. Any of the supplements mentioned above should help; you can consider the standardized 95% curcumin and bioperine variety or the Meriva formulation for pain relief. Hi. There is no best turmeric supplement as such that has been recommended for lowering PSA levels. You can opt for a standardized 95% curcumin with bioperine supplement. Or it would be appropriate to consult your health practitioner about this. Is it ok to put the whole root in my smoothie, along with pepper and avocado (and other things)? Does it have to be boiled first? A lot of different information out there. Hi. You can juice turmeric root and then add that to your smoothie. Or you can add turmeric powder. The fiber like pulp from the root may disturb the taste of the smoothie. Hi. My ND gave me Curcum,-Evail made by Designs for Health. It has 1g mixture of Curcuminoid Powder (380 mg curcuminoid-curcumin, demethoxycurcumin, bisdemethoxycurcumin), Tumeric Oil and Sunflower Lecitin with Vitamin E.
I don’t see much anti-depressant from this yet. I do feel agitated but it can be medication I’m taking. ANY thoughts about this product, PLEASE. Hi. We have not reviewed this product but the contents you mentioned should not have any adverse effects. 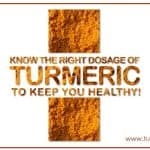 We always recommend opting for turmeric supplements that mention standardized 95% curcumin or other patented formulae. If you are experiencing agitation try cutting down the dose or stopping it altogether and see if the symptoms are relieved. 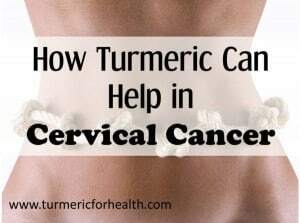 Please consult your doctor about this and if you plan to switch to another supplement please check for standardized 95% curcumin with bioperine. 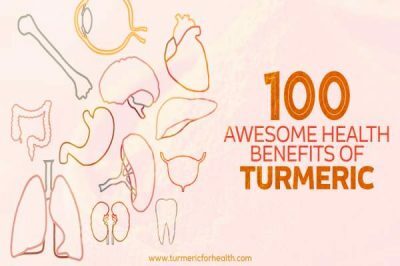 The first turmeric supplement I tried was fermented turmeric capsules. They were effective in relieving pain of osteoarthritis, some muscle and nerve pain. An unexpected side benefit was the positive effect on my mood, anxiety and depression. I honestly wasn’t expecting much benefit, but when I ran out of the supplement I felt miserable and like I’d been run over by a bus. Turmeric Bioperine has also been effective for me. Just noticed that there was no mention of fermented turmeric. Hi Theresa. Thank you for sharing this. We will take a look at the potential benefits and use of fermented turmeric. Thanks for the information. It looks like you found some of the same brands that I did, which is always a good sign. How about this brand: Joint Support (Curcumin+Ginger+Olive extract)? Consult a health practitioner before taking turmeric supplements. Please maintain a 3-4 hour gap between taking turmeric supplements and any medications to avoid drug interactions. Excellent assimilation of data with good interpretation. Thanks for all the information. You give a lot of bioavailability numbers. Please just list the products in order of the best one. Hi Donna. It is actually kind of tough to decide which is the best one as there are many factors to be taken into account one of them being bioavailability. But we will definitely work on streamlining this and making it easier to choose the right turmeric supplement. 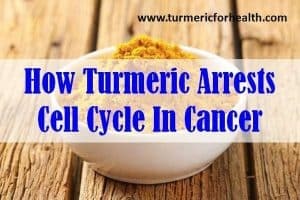 Can a person consume the actual tumeric root in a powered form it will also contain curcumin, probably 100%? Hi. 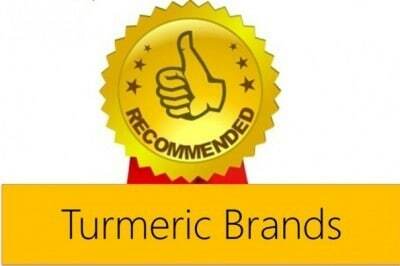 Yes we recommend consuming turmeric powder in diet or as Golden Paste. Each turmeric root contains around 3-5% curcuminoids on an average; some species have as high as 6-7% curcuminoids. Curcumin is present in those curcuminoids. 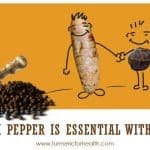 Turmeric root has more to offer than just curcumin so it does not have 100% curcumin. But it has other therapeutic components collectively known as turmeric oil. Some part of it is lost while making the powdered form, but taking appropriate amounts will still have a therapeutic effect in many health conditions. Do all the curcumin supplements mentioned above, all work on inflammation? Curcumin is a natural anti-inflammatory agent. So yes each of the above mentioned supplements contain curcumin and reduce inflammation.